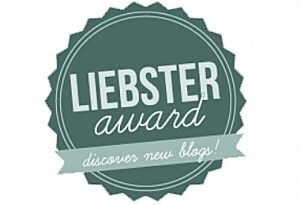 I’m super excited and surprised to have been nominated by the lovely Clare at The Red Door Makery for a Liebster Award!!! It really brightened up a really very soggy and grey day here in Franky-town! To be honest when I started my blog, it was a bit of a whim to have somewhere to collect up my photos of my makes and to meet some like-minded people. I never thought I would find it so enjoyable – it’s added a completely new level to my hobby and made me feel really part of a community. I love to read everyone’s comments and other people’s blogs – I feel part of a lovely group of creative and inspiring people which is such a special thing. I can’t believe the time is flying and I’ve gotten so in to it, and even that I have found readers around the world! So Danke, Merci, Gracias, Grazi, Ta-Mate, and thank you to all who follow, comment or just pop-by for a browse! It’s so great to have you here and to make new friends! How do you fit your blogging into your life? I’m a bit of a late night blogger and sometimes I even draft a blog post while I’m waiting for a train or sitting on the tram. I have even been known to do it on my phone on my lunch break in the park at work. Doing it on the go doesn’t always have the best results though, so I always come back and make sure I check them for typos and picture alignment on a proper screen! What was your least fun blog post, and how did you overcome that? I think my least fun blog post to write was my Scissor Pouch Tutorial. Although I loved the finished result and I really wanted to share the results and my idea with everyone, I also realised that writing tutorials are time-consuming and not as easy at it looks on other people’s blogs! I will certainly be coming back for more though, as it’s great to see when someone else makes one of your tutorial ideas!! Who/what is your biggest inspiration? I’ve actually written a whole post on inspiration hunting, as I think there are some great things out there. Beyond that though, maybe it sounds a bit cliched but other bloggers are a great inspiration to me! Just seeing their designs and fabric choices can be so inspiring to go out and make something yourself. My mum is also a great source of inspiration to me though – just the way she is always so enthusiastic and supportive when I want to try something new. I don’t think I would have done half the things I’ve done in life if she hadn’t given me the confidence to just give things a go! What is your one goal for 2015? (doesn’t have to be a big one!) So this is actually coming to a blog post fairly soon, as I’ve set myself a couple of little sewing goals for the rest of 2015. One is BUTTON HOLES. For some reason, I have just avoided them like the plague until now, and I’m sure they aren’t as scary as I’ve made them out to be but just – gah. My other goal for 2015 is to learn how to do a proper FBA (rather than just fudging it by cutting a bigger size and sticking in some darts!). Is there a skill you wish you had? I would love to be able to restore furniture. I just love the idea of taking something really old that someone might even throw away and then turning it in to something really beautiful and useful. I always loved woodwork and crafts, so maybe it’s something I could learn in the years to come. I’ve always been a bit put off by the need for real bonafide power tools and a space that get’s a lot more messy than a craft room though! Have you ever considered turning your hobby into a career? I actually think about this a lot at the moment. I love my current job, but I also love the idea of a fabric shop with a Dachshund curled up in a basket in the corner. Maybe it’s just a romantic fantasy. I am sure there are a lot more sleepless nights, spreadsheets, tax returns and stock taking involved than feature in my fabric shop Dachshund dreams currently, but you can dream, right?! Aside from blogging, what do you like to do in your spare time? Oh so many things! If only there was more “spare time” and less “busy time”! I like running with a girls running group here in Frankfurt, and hanging out with my girlfriends (my Mädels 🙂 ) I like cooking with the PB and watching detective dramas on the couch together. I like walking and cuddling dogs (my parents’ dog, or anyone’s dog they are willing to lend out really!) So lots of joy in my spare time really! Do you live in the town, or in the countryside? (and do you like it there?) I live in the town, but I grew up in the countryside, and I think Franky-town is probably the closest I can get to a countryside-like-town. I love the green-ness, the forrest, the river, the parks, the bike rides to the out of town beach in the summer, the outdoor swimming pool, the ice cream parlours, the summer festivals, the running tracks and the red-squirrels that come out in Autumn, along with so many things. For a city that lots of people have a big-downer on for being “boring”, Frankfurt is the city that stole the country mouse’s heart! aaaand, because I had to get a foodie question in here somewhere, what is your favourite thing to eat? It’s a strange answer (and probably disappointing to a foodie!) but cereal. I just LOVE cereal. Any time of the day or night, you can’t go wrong with cereal. Preferably granola. Or the chocolate kind! Sarah Kate Makes – I love Sarah’s creations, they are always so pretty! SaSiBeau – SaSiBeau makes some lovely things and I love popping by to have a look for inspiration! JustJessica – we are both beginner sewers and I love to look over at Jessica’s site to see her progress and what she making! If you had a “craft super power” what would it be? What one new technique would you like to learn? What’s your least favourite part of the creative process? Have you ever considered turning your hobby into a career? Do you have a favourite blog, store or site? If you had to pick a favourite fabric, what would you choose? Which city do you think represents your style? A Visit to Gay Paris! I’m with you on the button hole phobia! I’ve done a couple on my recent refashions and I think I’m almost ready to risk them on something from scratch! Again, thanks for the nomination. Working on my post right now!